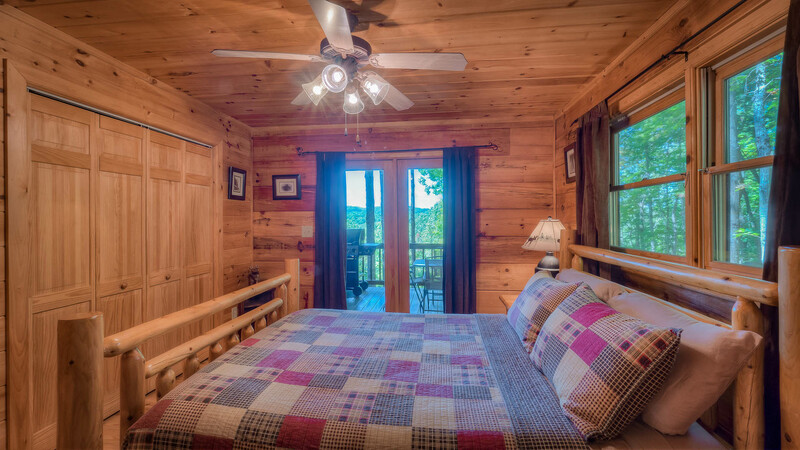 Getaway to the beauty of the Appalachian Mountains! 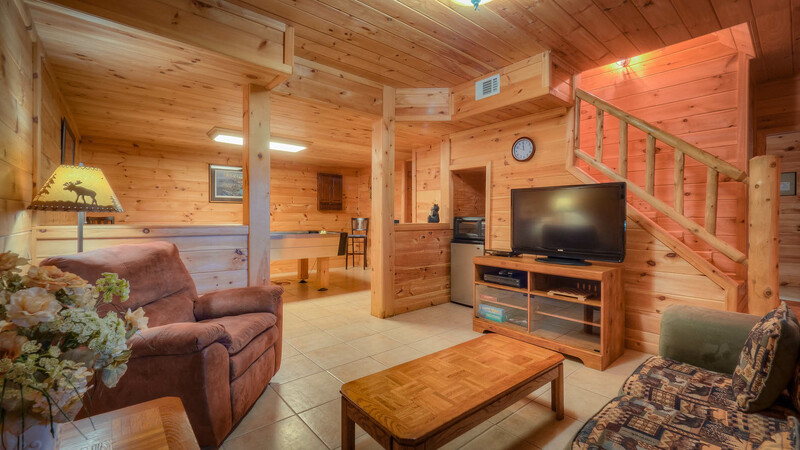 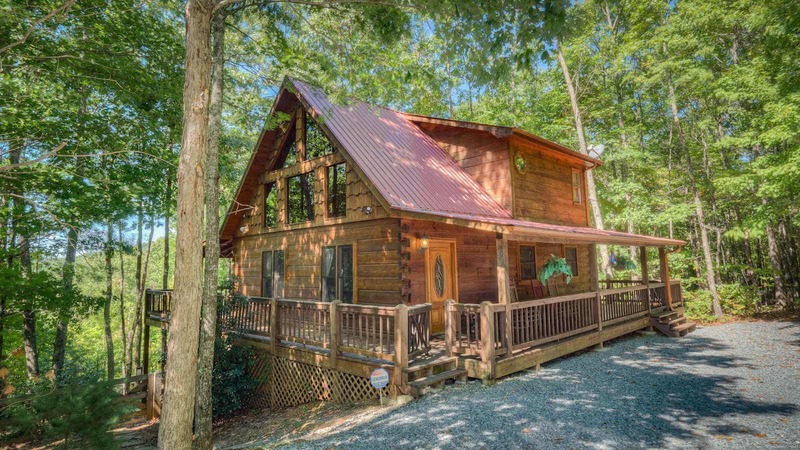 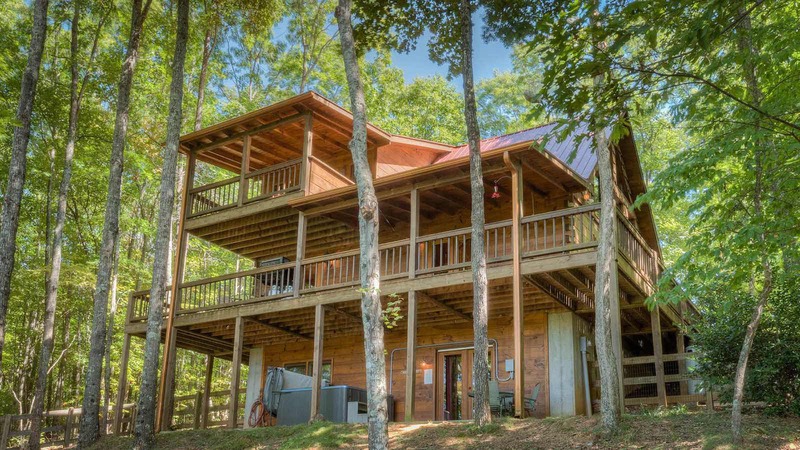 Appalachian Getaway is a lovely cabin located in a nice, quiet cabin community just minutes from downtown Blue Ridge. 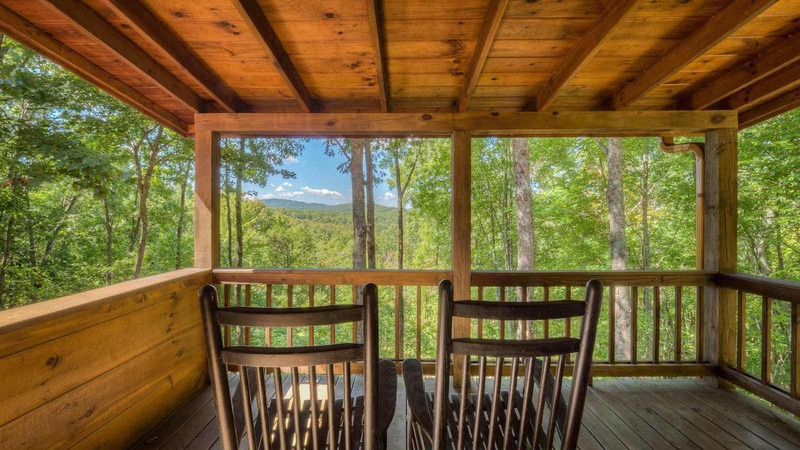 Enjoy the large covered porches overlooking the beautiful mountains and rolling hills... you may even see native wildlife, including whitetail deer, turkey, or perhaps a black bear! 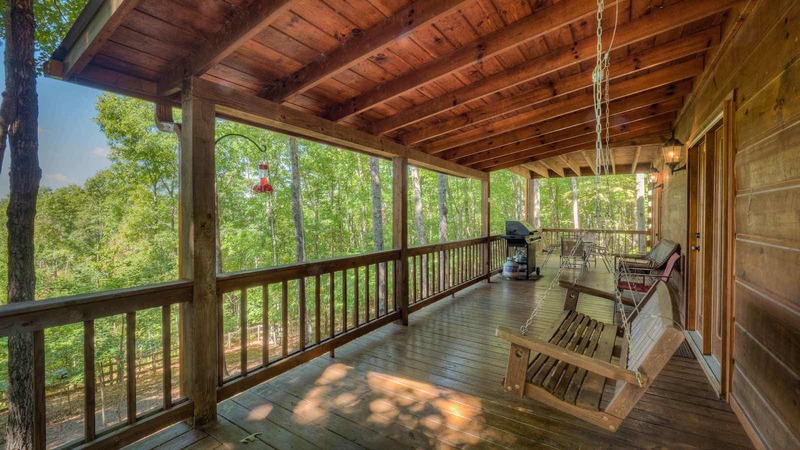 Hang out on the wrap around porches, grill some dinner, sit back and take in nature from the porch swing and rockers! 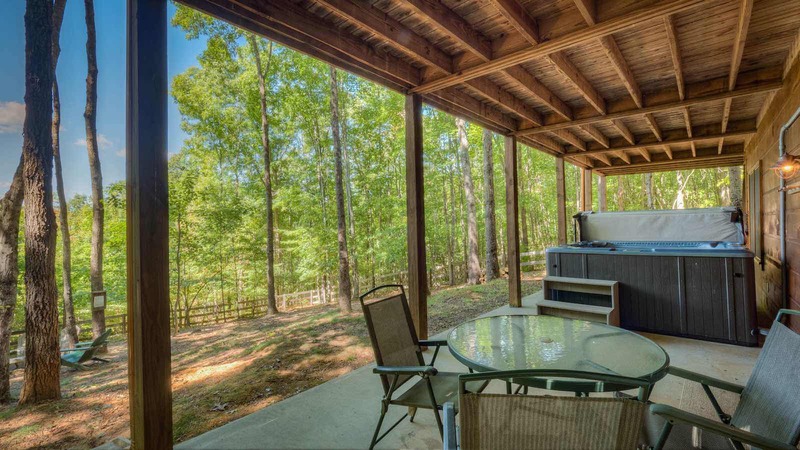 Plan a relaxing dinner to be served on the main level deck, after all you have plenty of patio furniture! 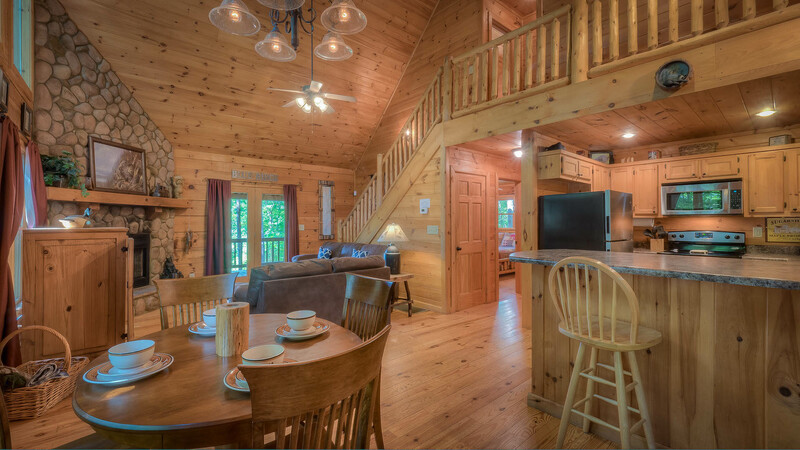 The main level features an open floor plan as the great room with the living area flows into a well-stocked kitchen and dining area. 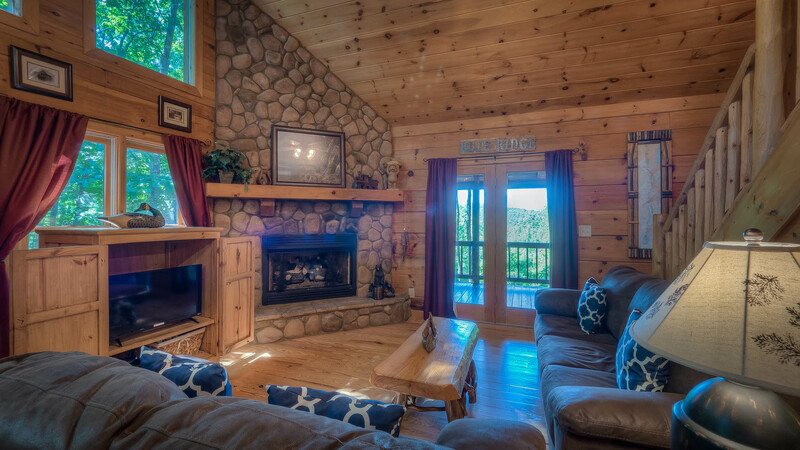 Relax in this great room with the flat panel television on luxurious sofas, or enjoy a glass of wine as you catch up with a friend while the flames dance in the river stone gas log fireplace. 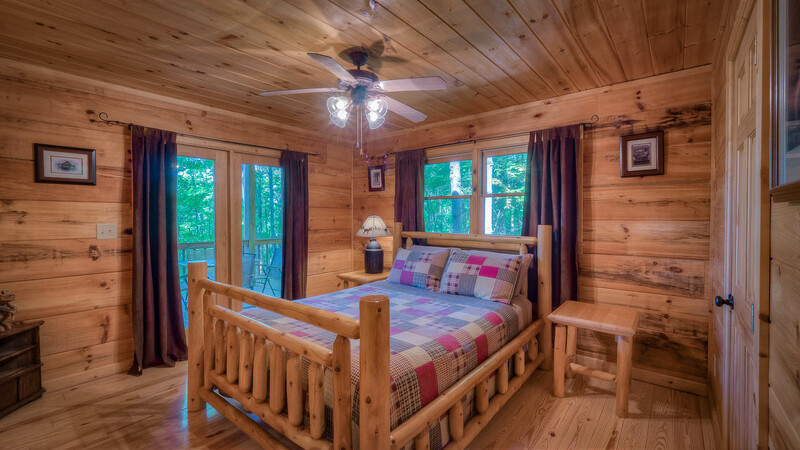 The bedroom on the main level has a queen log bed, double doors leading onto the covered porch and a full bath. 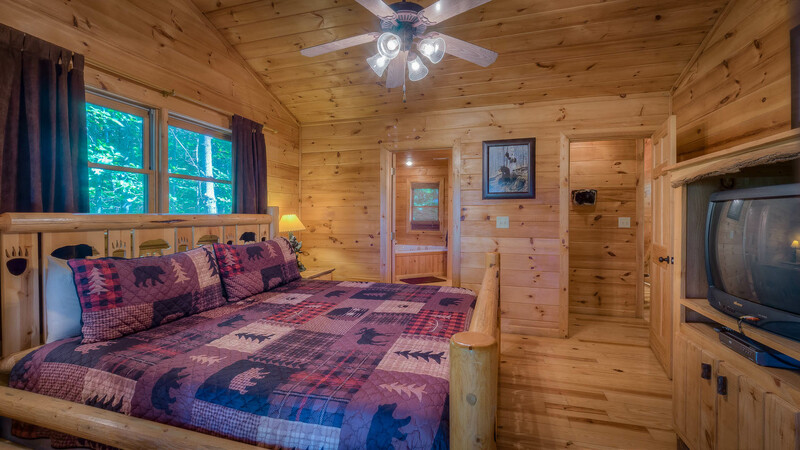 Take the round-log staircase to the upper level to your master suite complete with uniquely carved log bed king bed, tv, private covered balcony with mountain views. 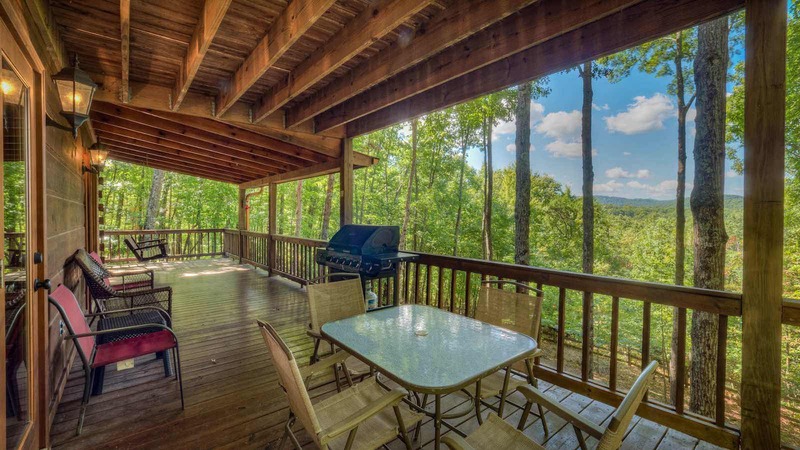 This charming balcony has furniture ideal for romantic evenings enjoying the sunset, or a wonderful breakfast for two with the birds singing as the sun rises. 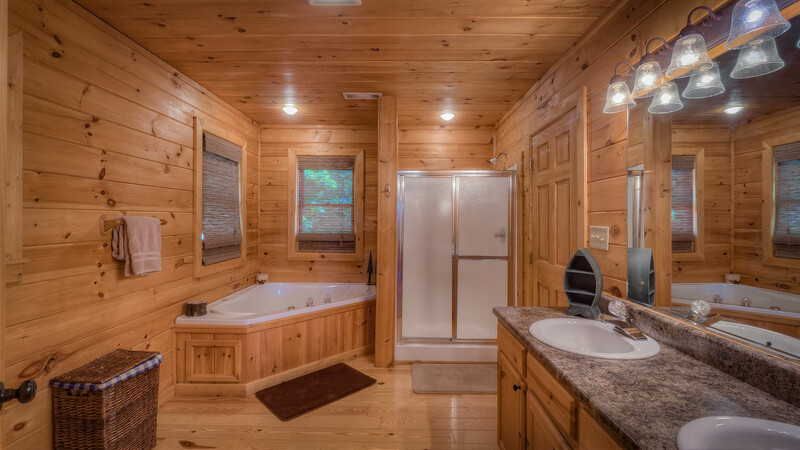 This level also has your master bath with a garden tub and double vanities. 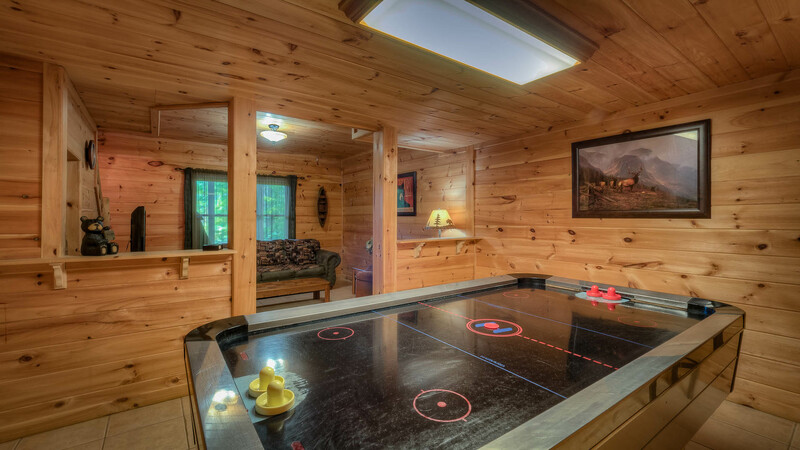 Head to the game room in the basement level for a game of darts or air hockey! 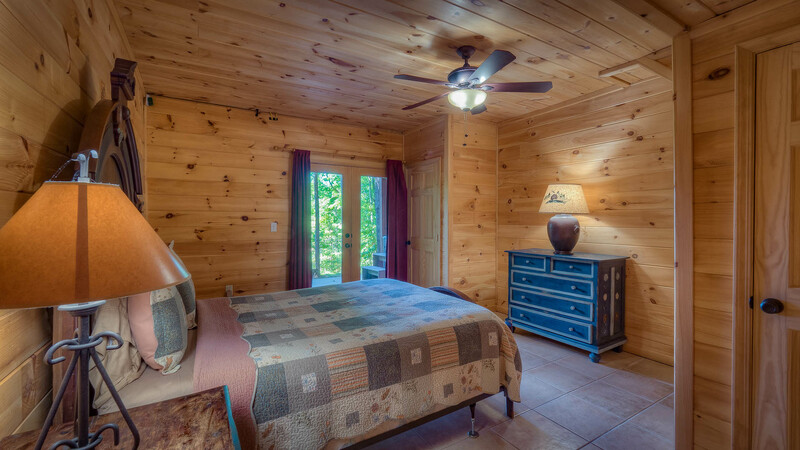 The finished basement level has a 3rd bedroom with an antique-style dark wood queen bed and full bath. 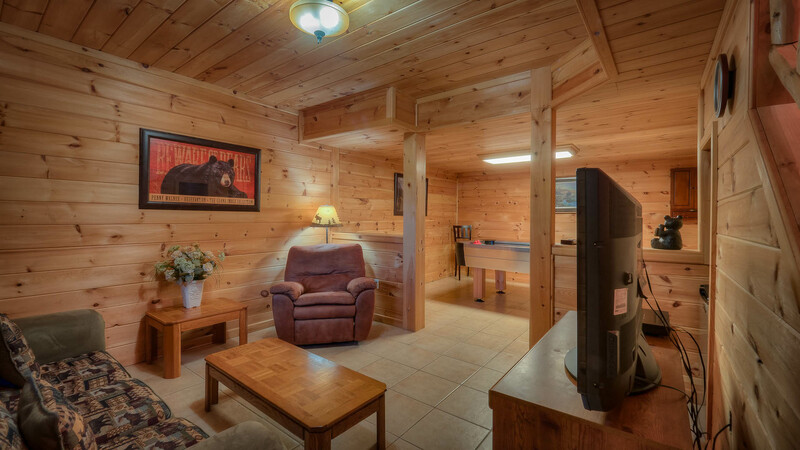 This level has the air hockey table, darts, flat panel television and rustic style comfy sofas. 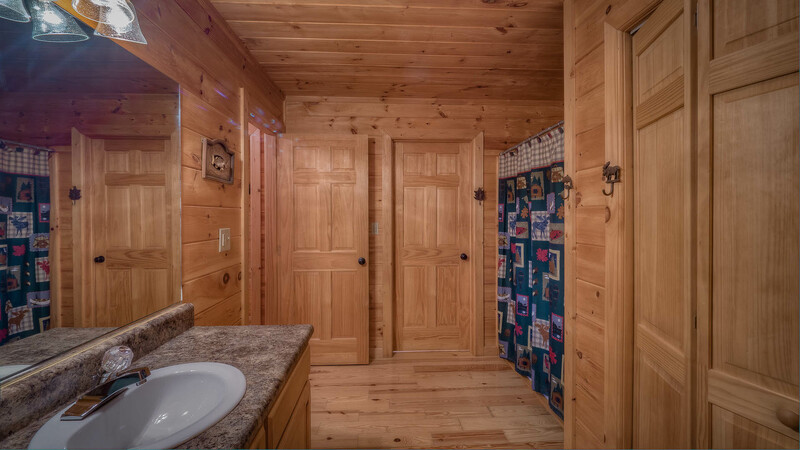 Keep your drinks cool in the handy mini-fridge here too. 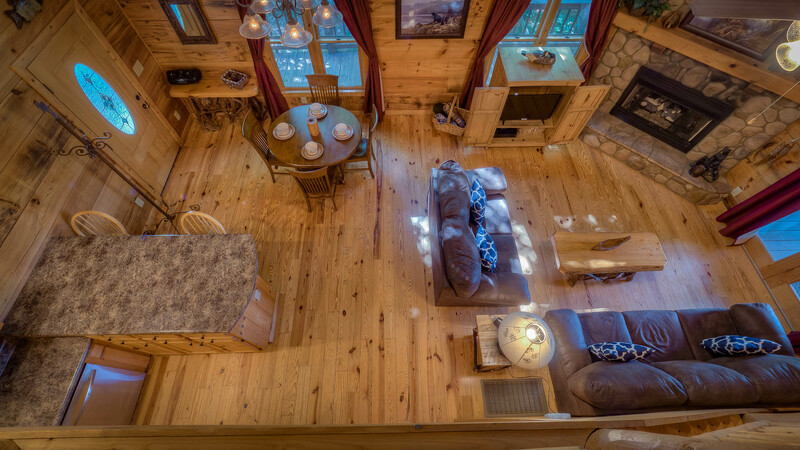 Ready for a movie? 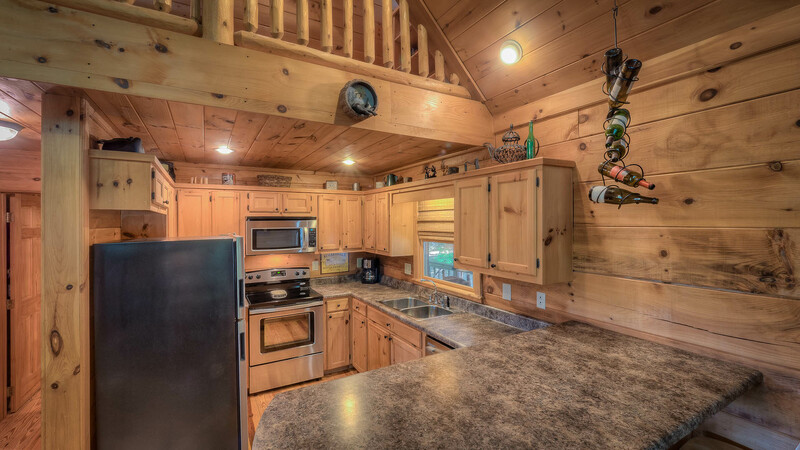 Pop in a DVD and pop some kernels; just above the mini-fridge is an equally handy microwave. 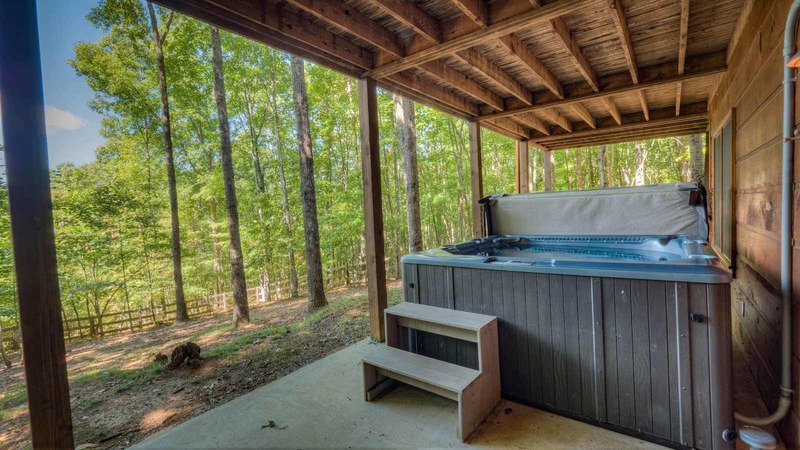 Step outside to the covered patio for real relaxation in the hot tub, patio seating & table all surrounded by a fenced in yard. 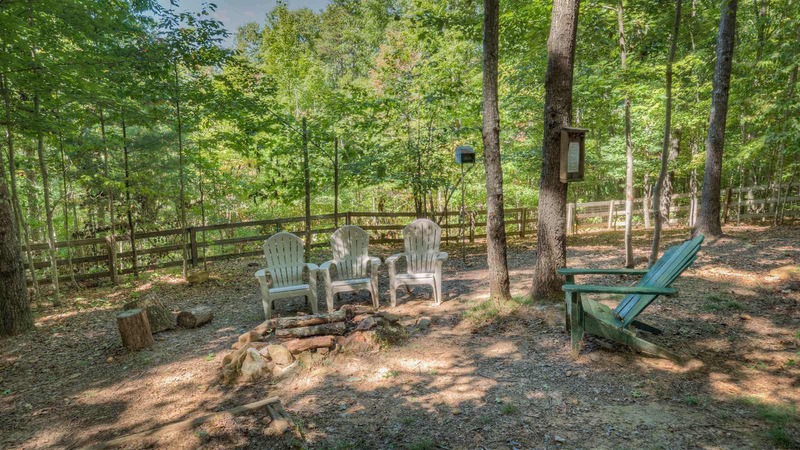 Fenced in yards are a rare amenity for cabin rentals, especially at a pet friendly cabin. 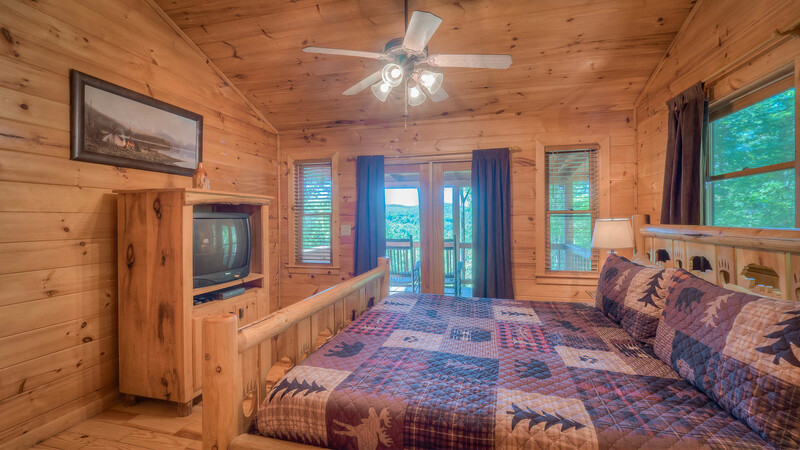 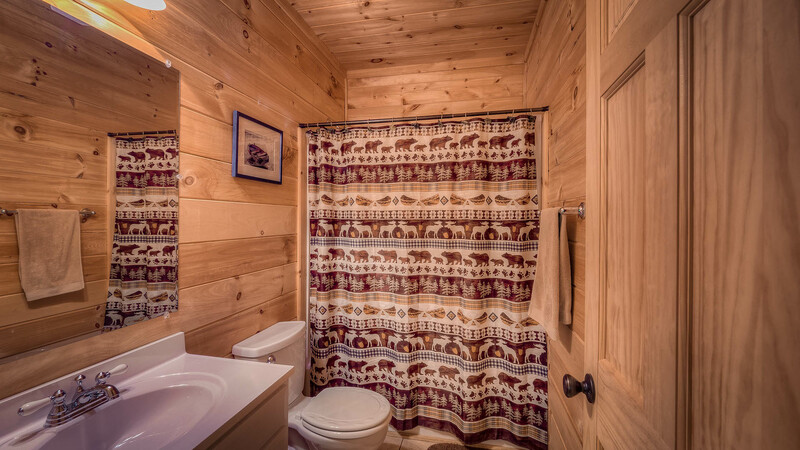 Needless to say, this cabin is a great fit for everyone, including your four-legged family member! 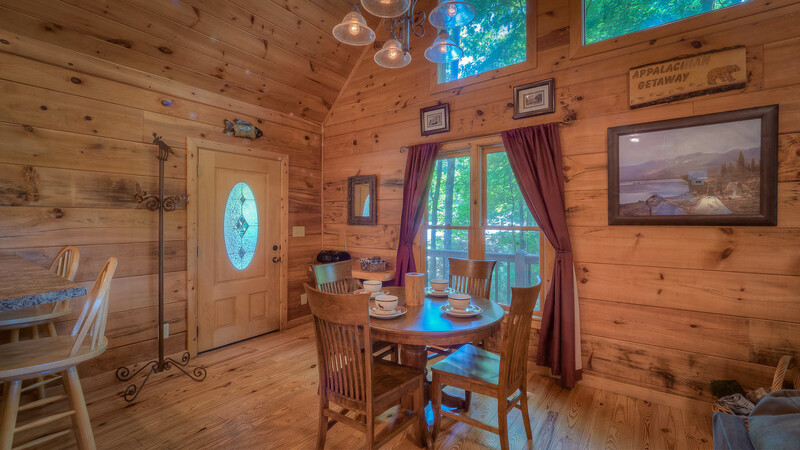 Getaway to the Beautiful Appalachian Mountains, at Appalachian Getaway! 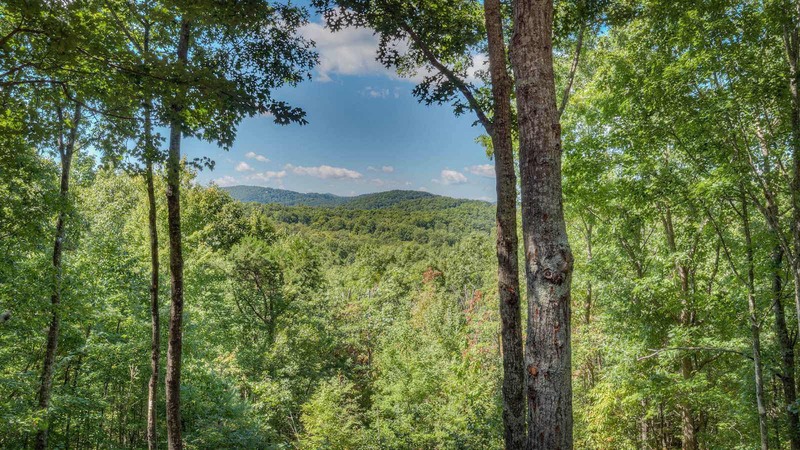 Blue Ridge Treasure is also located in this same, quiet paved community area within walking distance.